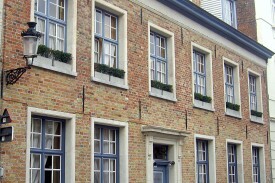 The Bed & Breakfast Bruhia is an ideal location for uncovering all the romantic sites of Bruges and the surrounding area. We are located next to the canals, about 500 metres from the Market Square, right in the middle of the historical heart of the city. 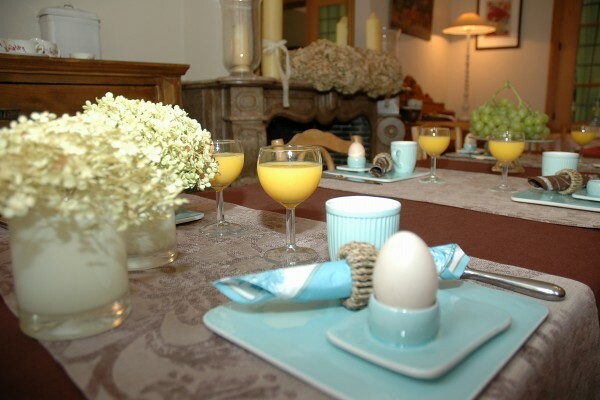 You will enjoy a delicious and healthy breakfast in an historical interior. We can help you with tourist information you might need about the artistic and historical highlights of Bruges, Damme and other cities and the cycling routes in the neighbourhood. You will spend the night in a large room with a new and modern private bathroom: shower cabin, lavatory, wash basin. Every room is smokefree and has its own sittingcorner with television (cable), WIFI. Sheets, towels & soap, hairdryer are available. We enjoyed a very relaxing two-days stay in this lovely B&B. 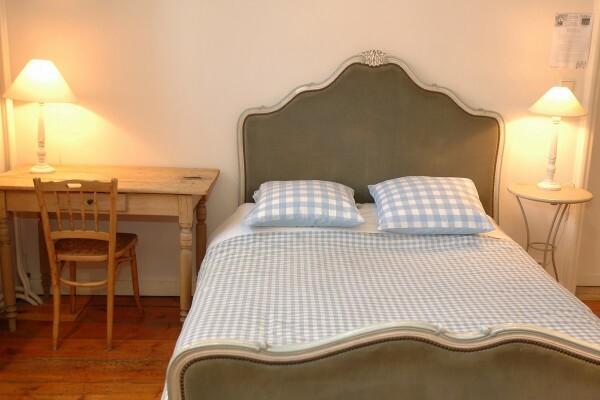 Our bedroom was gorgeous with ample comfort and space and cosy furniture, and very clean. Brughia is located in a very quiet and accessible neighbourhood, close to the centre of Bruges. The lady who runs the place is an impeccable host, very friendly and helpful with good advice on what to see or to do and where to go out for some delicious food. The breakfasts were tasty and plentiful. We wholeheartedly recommend it and plan to go back ! woning in het centrum van de stad. Vriendelijk onthaal, zeer gezellig ontbijt. Sorry maar wij waren absoluut niet tevreden. De gastvrouw was een zurige bazige vrouw. geen vriendelijke ontvangst en we werden behandeld omdat we maar gasten waren die kwamen overnachten met een arrangement uit een tijdschrift..
Kamers: Ok, maar geen haardroger,douchegel, tv werkte amper. Ontbijt: niet echt uitgebreid en 1 pot waar iedereen mocht uitscheppen. Hygiene? Leuke B&B, vriendelijke ontvangst, prima gelegen en een lekker ontbijt. Prima uitvalsbasis om Brugge te verkennen. Excellent séjour en famille,à conseiller viviment. Did you stay in B&B Brughia? Let us know what you thought about it and help others to make the right choice! * I confirm having stayed in B&B Brughia.